Gamers will have the opportunity to get in on some sports action when Xbox One launches next month; Microsoft announced today that Kinect Sports Rivals Preseason will release Nov. 22, when the system launches in North America, Europe and Australia. Preseason is a free trial version of Kinect Sports Rivals. 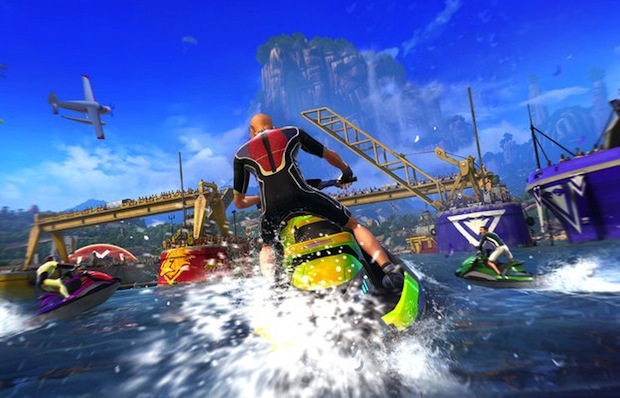 The trial will feature wake racing, one of the full game’s six sports. In-game rewards will also be included, and monthly multiplayer challenges (which go toward unlocking those rewards) will be available through March. Additionally, players who download the trial by Nov. 30 will unlock bonuses, including a wave racer, a Rivals wetsuit and a special “Founder” player title. Players will also be able to keep track of multiplayer challenges, both globally and locally, with the Kinect Sports Rivals Hub. The trial acts as a sort of peace offering – Kinect Sports Rivals was originally announced as a launch title for the Xbox One, but was later pushed into spring so developer Rare could further polish the game. Rivals will include six sports: Climbing, soccer, bowling, tennis, target shooting and the aforementioned wake racing. Will you test out Kinect Sports Rivals Preseason once you boot up your Xbox One on Nov. 22? Why or why not? Let us know in the comments.